Before sending out an email newsletter to your list of subscribers, we recommend sending yourself a test email to make sure everything looks okay first (check for typos, broken links, etc). 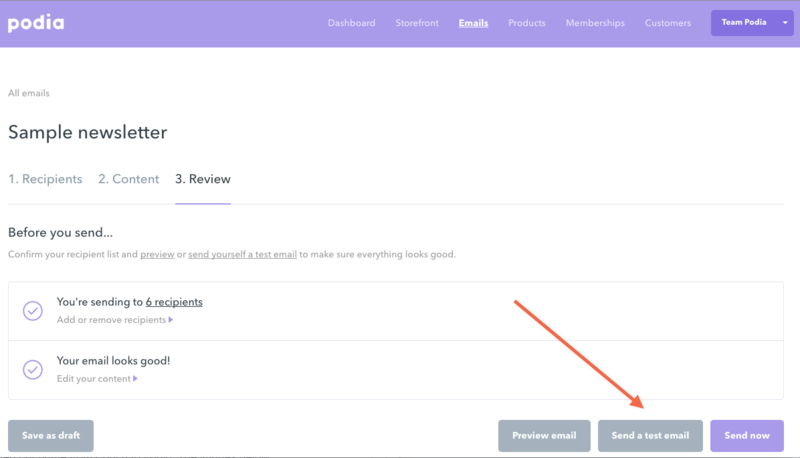 Step 2: After creating your New Email, on the final step you'll see an option to send yourself a test email. Pro tip: you can also hit the "Preview" button if you want to see a pop-up preview of your email newsletter within Podia.